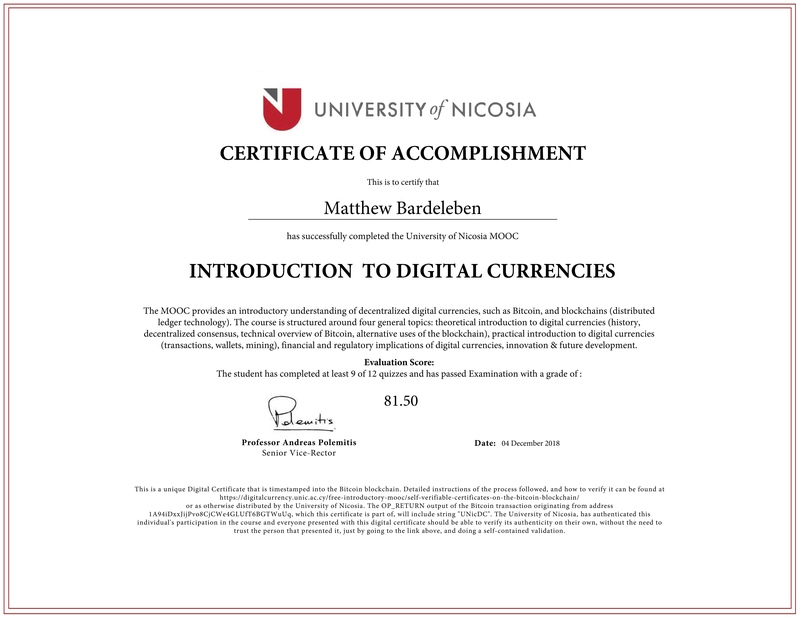 I completed the Digital Currencies Certification through UNIC! Certificate can be verified on the Bitcoin blockchain! View All of Matthew Bardeleben’s Marketing Certifications!